Self-employment presents many challenges: determining your pricing, being responsible for bringing in business… But often those going it alone are hit by a whole other issue – a slump in their productivity. Even individuals who were previously the most motivated employee can be faced with difficulty. Thankfully, there are some easy ways to ensure that you’re as efficient as possible every day. Whilst the flexibility to work when you please is there, a haphazard schedule will likely make you feel as if you’re never truly switched off. This can result in stress, which will only serve to lessen your motivation. Additionally, the lack of distinction between work and leisure time can cause difficulty with your focus. Without a specific, dedicated period in which to work, your attention can be easily drawn away, as you’ll know you can always complete tasks later. There needs to be some sort of force to stimulate motivation. This doesn’t need to be a person. Simply creating a structure for your workday will help you feel the obligation to work at set times. In this structure, there should be frequent breaks. Having no time away from work will increase any stress you feel and the likelihood you’ll succumb to distraction. Just taking a five-minute breather will allow you to come back to tasks feeling refreshed and ready to work. Schedule these in for a particular time, and ensure you actually take them. Even if something comes up at the dedicated interval, put the break in the calendar for a later time that day. And make sure you don’t use breaks to complete administrative tasks, like responding to emails. Instead, occupy the time with things that will take you away from work. You could exercise, meditate or enjoy a hobby. Whilst distractions are welcome on breaks, they shouldn’t be when you’re trying to work. They massively hinder your productivity, and flipping between tasks constantly can cause you to feel overwhelmed. To avoid disruptions, make sure that the time for each task is dedicated to only them. Block out specific periods for each activity, and turn any forms of communication off. For some, there may be urgent things that mean this isn’t an option. However, there are many tasks that could have been previously completed some time ago. One example is the Self Assessment tax return. Some leave this to the last minute, despite having long known the deadline. Getting it submitted so late in the day can be challenging if you’ve also had a sudden influx of client work. You can guarantee that you’ll keep on top of any due dates like the Self Assessment with specific software. Work management tools such as Asana will allow you to manage everything you need to do. There are also time management apps to make you efficient, like QualityTime for reducing procrastination. Technology can help with boosting productivity too. Devices such as the Google Home Hub can control your other electronical items, saving you time. 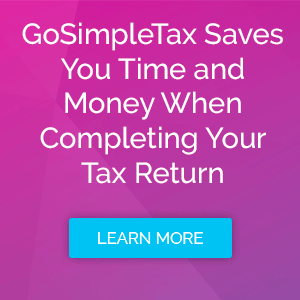 You can save even more time by using tax return software to complete your Self Assessment. Simply enter in your tax-related data, and you’ll be able to see the amount owed immediately. On top of this, if it thinks you can reduce how much you pay, it offers tax-saving suggestions. If you want to see how much more productive you can be by using Self Assessment software, take a free 14-day trial today.